As the summer months approach, the National Parks are a destination for tourists all over the United States. National Parks are part of the National Park Service, which was established in 1916 by President Woodrow Wilson. Beginning with Yellowstone National Park in Montana and Wyoming, there are 417 parks today covering 84 million acres. 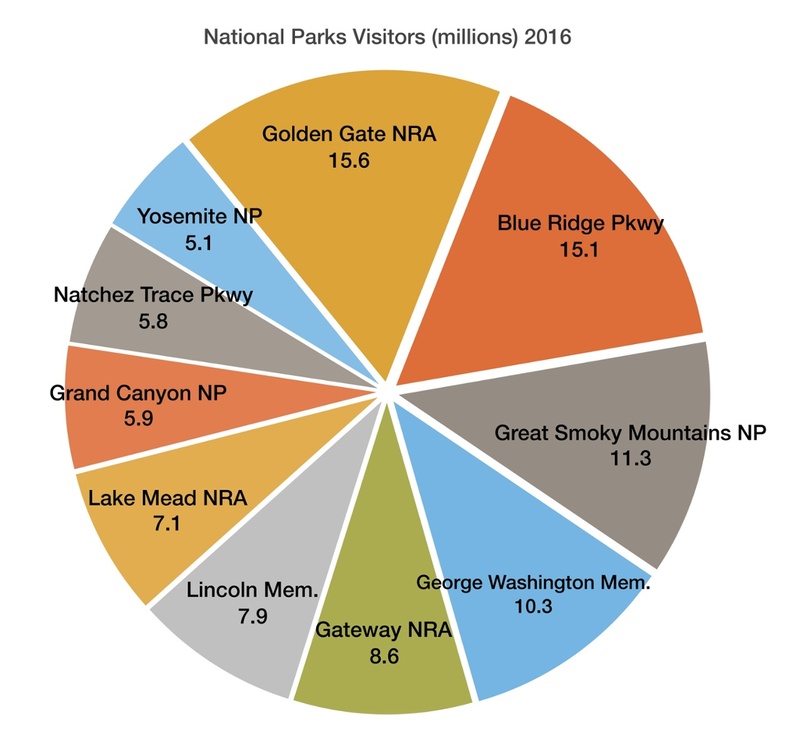 On a recent visit to California’s National Parks, newly appointed Interior Secretary Ryan Zinke made mention of the tremendous activity and economic output the National Park Service is generating. The parks operate under the exclusive control of the Secretary of the Interior. The 417 parks saw a record 331 million visitors in 2016, contributing $34.9 billion to the U.S. economy. The economic output is derived from various jobs and industries including lodging, hospitality, retail, transportation, food, fuel, camping fees, and recreational activities.